May: Immigration 'harms social cohesion' Jump to media player Home Secretary Theresa May tells her party's conference that high levels of immigration make it impossible to have a "cohesive society". Cameron: Migration must be controlled Jump to media player Migration must be controlled, Prime Minister David Cameron has said, as the Home Secretary Theresa May is to warn that mass immigration threatens social cohesion. Free EU movement 'for those with jobs' Jump to media player Home Secretary Theresa May says Europe's system of migration is broken and blames its borderless system for exacerbating the migrant crisis. Migrants' 'incredible contribution' Jump to media player Wales should be proud of the diversity of cultural life and contributions made by migrants and immigrants, says Jeremy Corbyn. EU immigration rules - in 90 seconds Jump to media player Thousands of migrants are trying to reach Europe to escape war zones in the Middle East and poverty and turmoil in Africa. Overseas nurses shortage in NHS Jump to media player Leading NHS figures have warned that "stringent" immigration rules are preventing them from getting enough nurses on wards in time for winter. 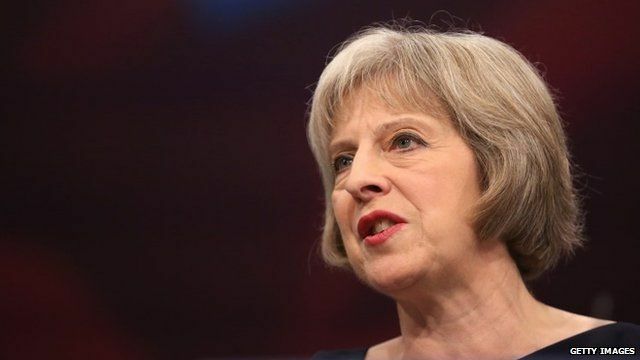 Home Secretary Theresa May has told her party's conference that high levels of immigration make it impossible to have a "cohesive society". Her comments were supported by David Cameron, who admitted he was frustrated by his government's failure to reduce the level of net migration. Mrs May's comments were criticised by some business leaders, who called them "irresponsible".